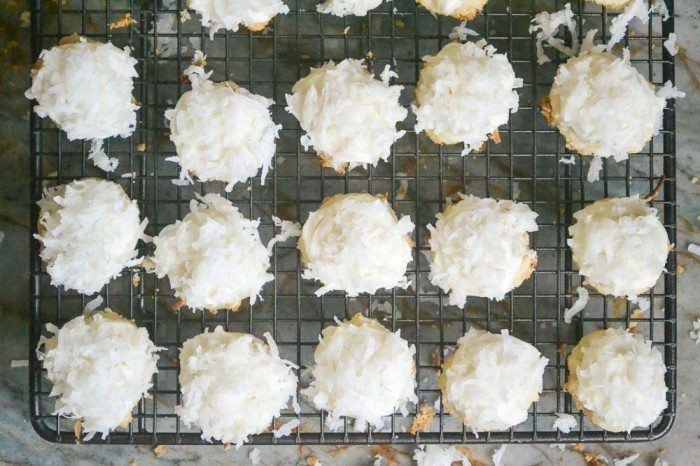 Coconut Snowball Melting Moments are buttery little bites of coconut bliss ~ perfect for the holidays, or any day. These easy shortbread cookies literally melt in your mouth. To make the cookies, cream the butter and then beat in the extract, sugar, flour and cornstarch until everything is blended. Blend in the coconut. Form the dough into a ball or a disk and wrap with plastic. Refrigerate for an hour. Use a small 1" cookie scoop to form balls of dough and place then on an ungreased cookie sheet, 1 inch apart. Bake for 14 minutes, or until the cookies are just starting to get a little brown around the bottom edge. Remove from the oven and let cool on the cookie sheet for 5 minutes. Then gently transfer to a cooling rack. the cookies are delicate, so go easy on them. When the cookies are completely cool, dab a little bit of frosting on top of each one, and top with coconut. To make the frosting, cream the butter and then blend in the extract and the sugar, adding enough cream or milk to make a creamy spreadable frosting.